In an effort to give members of Reservoir options to growing in maturity, we will occasionally share a suggestion of a good book or resource. Today Jonathan wants to recommend Uncomfortable by Brett McCracken. 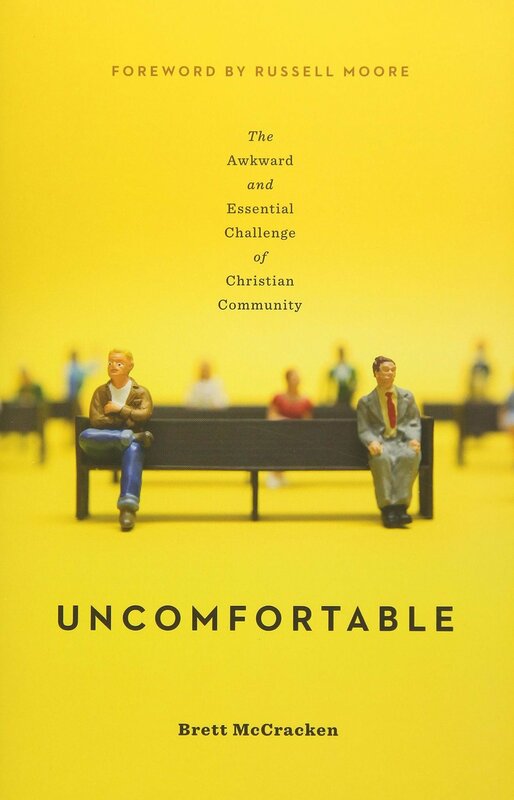 Uncomfortable: The Awkward and Essential Challenge of Christian Community. Brett McCracken is an editor and author for The Gospel Coalition and a local church elder in Orange County and he has given the church a wonderful and engaging book that sticks its’ nose into those areas we are often most uncomfortable. You may have noticed that during our Awkward series I have been quoting McCracken because there is such wisdom and important truth to be found here. The chapters wrestle with people, diversity, worship, authority, unity, commitment - all things that build a countercultural comfort within the church even when they tend to make us most uncomfortable. Setting aside personal preference for the flourishing of the church. Engaging where I usually don’t because it glorifies Christ… and so much more. The book is accessible and an enjoyable read. Grab a copy and get uncomfortable!